I may sound like a broken record right now, but when it’s in the name of friendship, I don’t mind. The friends I’ve made through this blog are truly some of my very best friends. I feel so incredibly lucky to have them in my life. And so, my totally wonderful, hilarious, good hearted, we-may-share-a-brain friend Josie is due to have twin baby boys any day now. Literally – it might be today! Eeep!! As has become our custom, we decided to host a small virtual shower in honor of Josie and her impending arrivals since we aren’t able to do it in person. (I guess since we’ve gotten to see each other twice in the past year, we can’t complain too much.) Since we are celebrating twins, we chose a “Perfect Pair” theme. 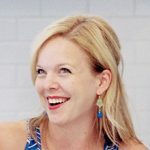 Each of us is offering up a recipe involving a classic pairing: Elly makes sausage-cheese biscuits, Tara makes shrimp and grits, and Courtney makes chocolate cake with coffee buttercream. Once I’d decided on a cocktail, I remembered some random grapefruits that I received in my recent produce delivery. 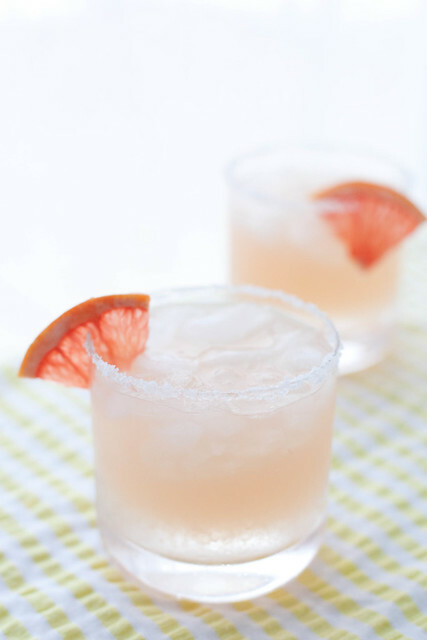 I’m not so much a fan of grapefruit but I suppose if I’m going to like it, mixing it with tequila is a great start. And it was! Definitely a strong and refreshing cocktail. As with any cocktail, feel free to adjust the various components to suit your own palate. This version is very tasty, but I’m also intrigued by this version from Michael Ruhlman. I love Izze so I’m definitely trying that version next. Rim 2 cocktail glasses with juice from a grapefruit wedge and dip in coarse salt. Fill glasses with crushed ice. 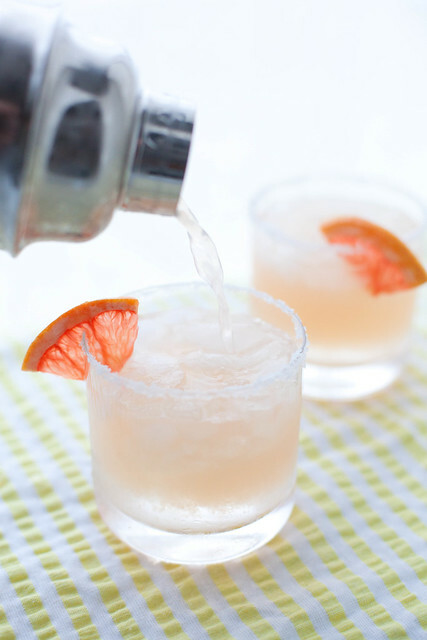 Combine the grapefruit juice, lime juice, tequila and simple syrup in a liquid measuring cup or cocktail shaker. Mix well to blend. Pour ¼ cup of club soda into each cocktail glass. Top each serving off with half of the cocktail mixture. Garnish with grapefruit wedges, if desired. *To make simple syrup, combine equal parts sugar and water in a small saucepan over medium heat. Heat, stirring occasionally, until the sugar is fully dissolved. Chill before using. Use to sweeten coffee, cocktails, etc.